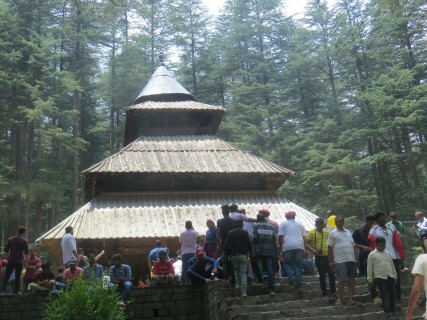 A visit to Manali will be incomplete if you have not planned to go and pay obeisance at the ancient cave temple of Hidimba. 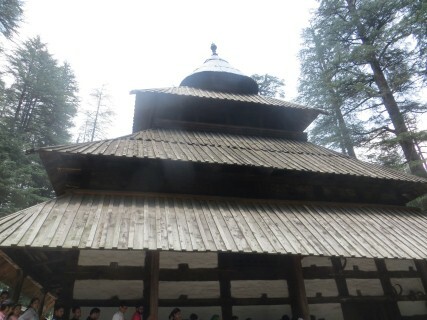 The ‘pagoda-styled’ temple is one of the many tourist attraction spots that find mention in the travel wishlist of tourists coming to Manali; but more than being a tourist spot it is a revered shrine that draws devotees from across the country. Nestled in the woods amidst the giant deodars, the Hidimba (or Hadimba) Temple built in wood stands tall even to this day with its imposing facade. 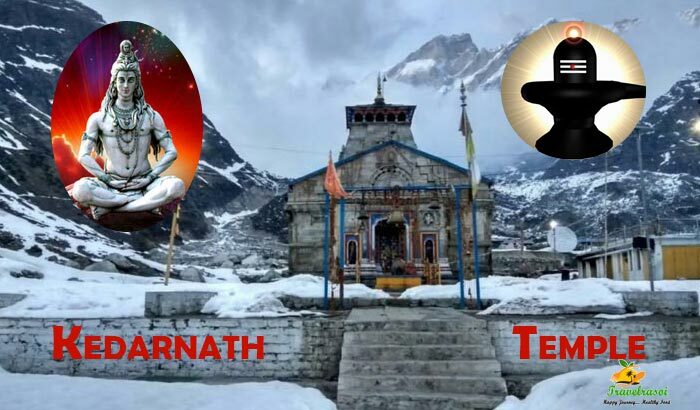 As the name suggests, the temple is dedicated to Goddess Hidimba, a primary deity for the local people of Manali and the demon wife of the legendary figure from the Mahabharata epic, Bhima. Situated on the outskirts of the village of Dungri and located at a distance of 1.5 kms form the Mall, the temple is easily recognizable by its three tiered roof made of wooden planks, constructed one above the other. The summit of the temple is crowned with a conical shaped roof made of metal. An inscription written outside the entrance of the temple mentions that the shrine was built by a Raja named Bahadur Singh in the year corresponding to AD 1553. Since we were staying at a hotel on the Hadimba Road, we were not too far away from the temple premises. We were told that since it is situated at a walking distance from the hotel, we can avoid taking an auto, who would have easily charged us 60-100 bucks for that small stretch. Since the temple is built on a huge rock, we soon realized that we would have to take a long flight of stairs that will take us up to the temple. 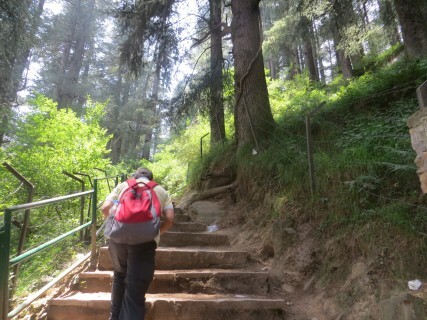 Not used to climbing such steep steps, we stopped twice to take some rest and grab our breath. 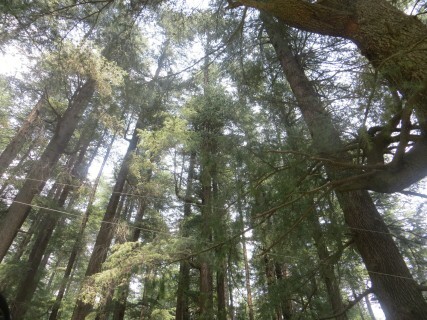 But the area around was very peaceful and serene. 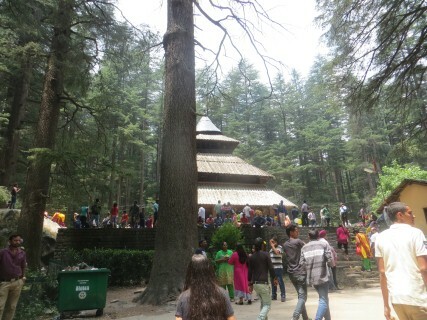 We reached the top and could see the facade of the temple with its 24m high tower from a distance. The road leading up to the temple was lined with local hawkers selling everything from food items, to beaded jewelleries and woollen garments. We bought a Prasad thali from one of the shops outside the temple. A huge crowd had already queued up in the narrow veranda that surrounds the temple on all sides by the time we reached. 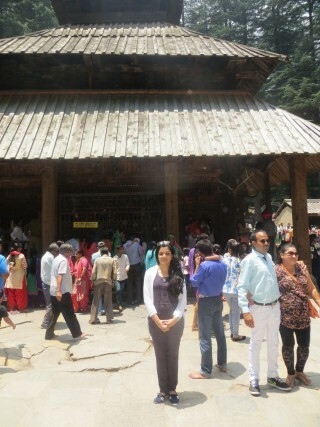 There is a closed wooden balcony at the entrance of the temple, inside which the deity is placed. While waiting in the queue, I looked up at the temple to examine the wooden architecture, the mud walls and the rich carvings on the windows that is a true expression of sheer craftsmanship. 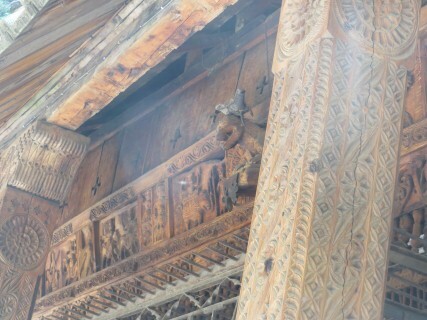 The wooden doorframe that leads to the interior of the temple is exquisitely designed with motifs of different Gods, Goddesses, animal figures and foliage. 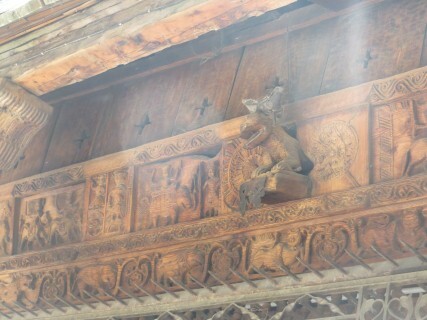 The beams above the doorway also tell a hundred stories, extracted from different scriptures and holy books. Legend has it that the temple is built around a cave where Hidimba performed meditation. She lived with her brother, the demon king Hidimb. During the exile, the Pandavas stayed in Himachal for some time and it is during this time that Bhima got into a fight with Hidimb and killed him. Hidimba as vowed then married Bhima and begot a son named Ghatotkach. She did not accompany her husband after the exile but instead stayed back to perform meditation (tapasya) and attain the status of a goddess. The temple was built as a mark of respect to her. Interestingly, the temple does not house any idol of Devi Hidimba but only footprints engraved on a stone, believed to be of Hidimba herself. Animal sacrifice is also quite rampant at this sanctum sanctorum and they are performed to appease the deity on all important occasions. 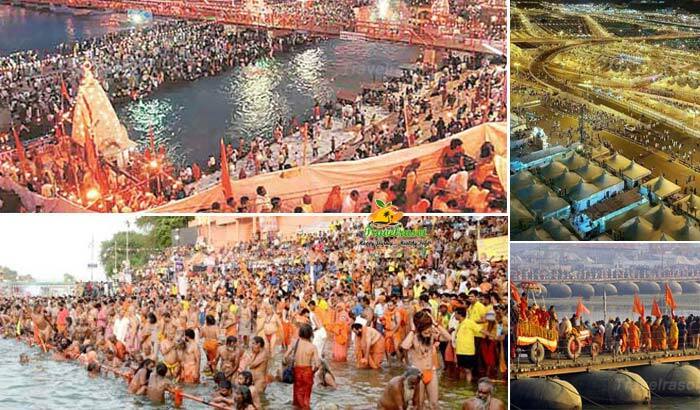 The method of prayers and the rituals practiced also differ from other Hindu temples. While in the queue, I overheard someone saying that one of the scenes from the movie ‘Roja’ was shot here, in which the lead actress (Madhoo) comes to offer prayers in this temple and her husband (Arvind Swamy) who comes searching for her is abducted by militants. Just 50 meters away from the shrine, lies the temple dedicated to Hidimba’s son, Ghatotkach. 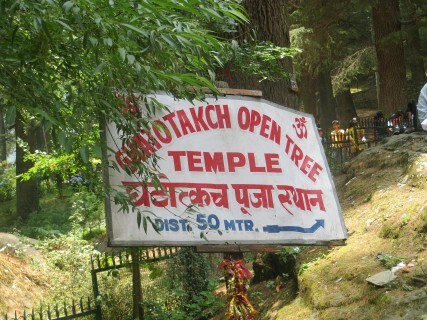 It is an open tree temple with the altar on a stone parapet placed just beneath it. There was not much of crowd there however. 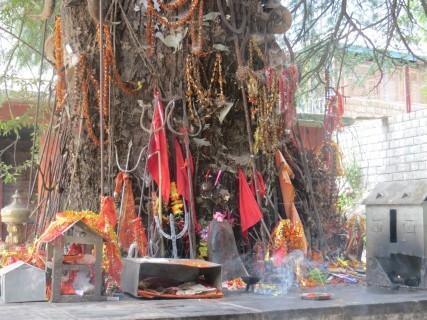 One could see animal horns adorning the tree that are presumed to be from previous animal sacrifices. 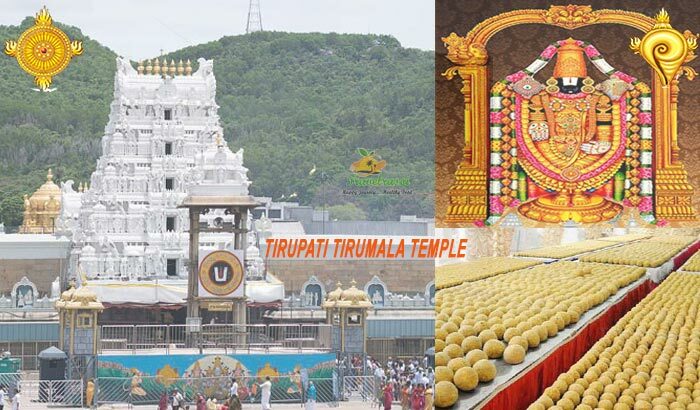 The temple premise also offers localites opportunities to earn their living. On the way to the temple, you will cross paths with several local women who will coax you in taking pictures in traditional Himachali dress. 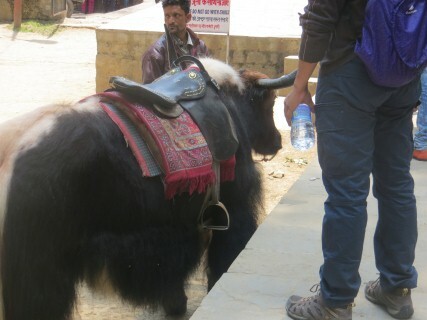 You can also opt for a yak ride or instead take pictures with angora rabbits or a yak by paying an amount of Rs. 30/. It was finally time to bid goodbye as we had a tight schedule for the day. But I was so much intrigued by the sanctity and the serenity of the place that I could not help myself but visit the temple again the next morning. 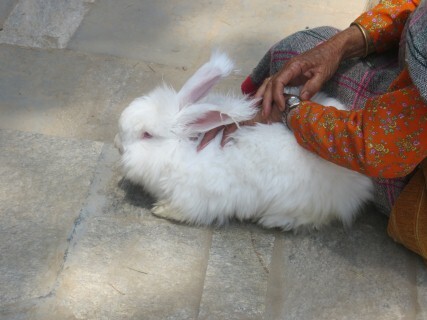 It was a wonderful experience and I was happy that we could kick-start our Manali trip with a visit to the temple first. 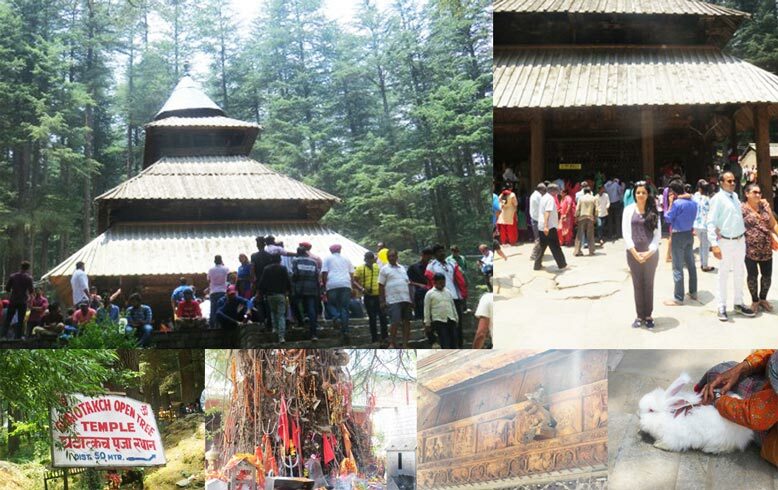 Share the post "Hadimba Temple – A Manifestation of Devotion and Faith"